We are one of the leading and famous Power wheel Chairs manufacturers in India. We have served diverse needs of patients suffering from different illnesses and other medical conditions such as polio, amputation, muscular disorders, multiple sclerosis and spinal injuries. Having delivered thousands of Power wheelchairs and surgical equipment, our company has become a first choice of customers when it comes to quality, technology, variety and service. Our products have uniqueness in design and quality which makes us very different from other manufactures of surgical equipments. We being one of the top manufacturers of power wheel chairs in India, dedicated ourselves to deliver the superior quality products, prompt services and value for money for our clients. 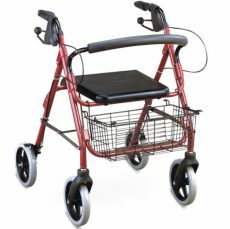 With the in-depth knowledge in mobility aids manufacturing field, our company has gained strong foothold in the wheel chairs market. The power wheel chair is extremely reliable and offers a flexible approach to the customers. Our exclusive Power Wheelchairs are accessible to our clients, which are constructed using top-notch quality of raw material. Powered wheelchair helps in regaining the freedom. Our clients can avail a wide range of Power Wheel Chairs at a reasonable price.